Certain ideas are “inevitable” over time. Paul Graham calls them “[squares] in the periodic table” — if they don’t exist now, they’ll be created shortly. It’s only a matter of when, not if. I believe that Atlastory is one of those ideas. The following is a long post about a project I’ve been passionate about for some time now and am currently in the process of winding down. Atlastory is an open source project to create an interactive map that chronicles the history of life on earth. It’s a “Google Maps” for history. The ultimate goal is the ability to see what the world looked like 50, 200, 1000+ years ago. It was inspired by OpenStreetMap & Wikipedia: combining historic maps with cultural & statistical data. I started Atlastory at first because I’m a fan of both history and good data visualizations. I was surprised something like this didn’t already exist and thought that it would be an amazing educational tool. Maps are one of the best ways to clearly show an enormous amount of information. Since everything in the past took place at a certain time and location, maps are an obvious choice to visualize that knowledge. Understanding history requires seeing changes and interactions over time, and a four-dimensional map allows this. Good design will be a key aspect of the final product. Good information design can communicate a huge amount of knowledge in a small window of time or space. Great information design has a high amount of density and complexity while remaining completely understandable. Atlastory’s purpose is to improve understanding of the past by organizing and visualizing historic knowledge. My vision for Atlastory was that one day it would become a tool like Wikipedia that’s used regularly around the world. A journalist could use it to go back 20 years to see the geography and timeline of a major world event. A student could use it to go back 20,000 years to see the expansion of human culture across the globe. A climatologist could use it to visualize the historic overlap of population growth with changes in global climate patterns. Wikipedia organizes information by creating a searchable network of interconnected articles that combine text and other multimedia. Atlastory can be the first medium that allows completely visual navigation, displaying information at a much higher density and level of interactivity. Imagine students in a classroom learning about World War II. You’d be able to see the country borders of Europe as they existed in 1942. Drag the timeline, and see the borders change as the years go on. Turn on an overlay of population density or GDP per capita and see the flow of activity throughout the war. Zoom in and see the troop movements of a pivotal battle. The visual interactivity would make it much more enticing for people, young and old. Almost game-like in terms of exploration and discovery. Eventually, the timeline could go back far enough that you’re able to see continental drift and other pre-historic geographic or environmental changes. Physical — shows the physical landscape including mountains, rivers, lakes. Political — sovereign, national and state boundaries, with cities of all sizes. The typical world map you see will be political with some physical features. Road — shows roads of various sizes along with destinations and points of interest. Google Maps & other navigation apps fall into this category. Statistical — shows statistics about human populations such as economic stats, population density, etc. Events — shows how a specific event played out geographically, like WWII or Alexander the Great’s conquests. Any map type that has enough data to span long periods could eventually go into the Atlastory system. Event, thematic, statistical, and scientific maps could all seamlessly layer on top of the main “base map”. The Atlastory base map should be an elegant combination between 3 map types: physical (basic landscape features), political (sovereign and administrative boundaries), and cultural (see below). Major roads and infrastructure would be added only after a worldwide “structure” of the base map was created. Importantly, map creation should be top down, from global to local. The purpose of an Atlastory map is not navigation, it is understanding of history. Creating a global structure will also provide context and make it easier to interest other users/contributors. 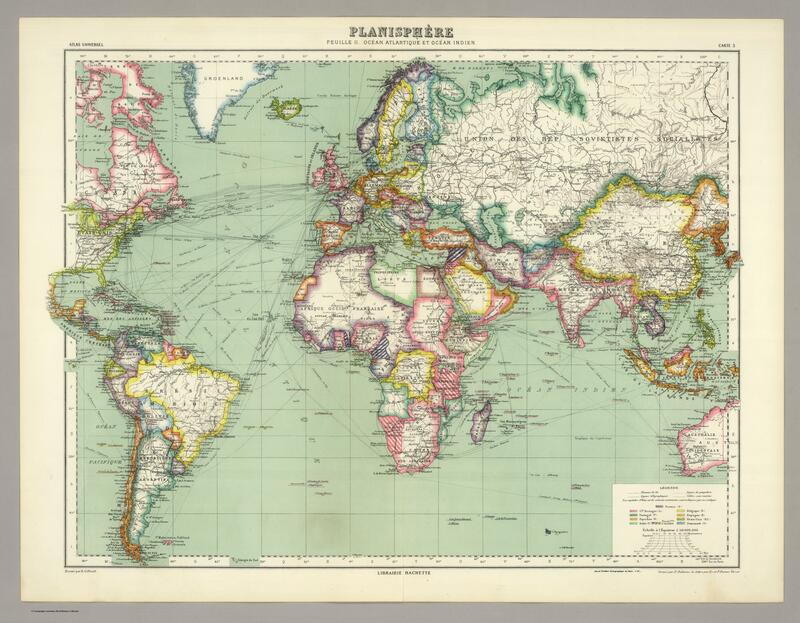 Most world maps made today (of the present time or of the last few hundred years or so) are of the political variety. But what happens when you go back a few thousand years? What about areas of the world where, even now, aren’t necessarily defined by geopolitical boundaries? A cultural map would have different levels, just like political maps: from dominant cultural macroregions to local divisions between subcultures or classes within a society (blue collar vs. white collar, etc.). Combining cultural cartography with typical map types allows for a much better understanding of both modern and ancient history. Culture plays a major role in world events & limiting the map to only defined borders paints an inaccurate view of history. A database of nodes (latitude/longitude points) organized into shapes, layers, types, and time periods. An API that manages, imports and exports data from the database. A crowdsourced map editor interface (like iD for OpenStreetMap, but designed specifically for top-down time-based editing). A map rendering service that turns raw map data from the database into vector tiles that can be styled for viewing. The map itself: a web interface to view and navigate the maps. I’ve been working on this as a side project for more than 3 years now. Originally I imagined being able to quickly find a way to profit from the service. But as development dragged on and other commitments began taking up more of my time, I realized I’d never be able to finish it alone. Earlier this year I joined Mashgin, a startup in the Bay Area, as a full-time “Generalist.” My spare time completely dried up and I decided everything needed to be completely open sourced and distributed to anyone interested in the project. Due to personal time constraints, I can’t continue with it so I’m looking for others who are interested. This could mean taking over / adapting the codebase or using other means to pursue the idea. See below for more details on what’s currently done. Although many of the back-end components are functional, the infrastructure is in a rather unusable state right now. Please contact me or leave a comment below if this strikes your curiosity or you know anyone else who would be interested. I’m happy to answer any questions. Based off a previous #tweetstorm. Christian’s aim was not to offer discrete accounts of each period so much as to integrate them all into vertiginous conceptual narratives, sweeping through billions of years in the span of a single semester. . . . In the worldview of “Big History,” a discussion about the formation of stars cannot help including Einstein and the hydrogen bomb; a lesson on the rise of life will find its way to Jane Goodall and Dian Fossey. “Most kids experience school as one damn course after another; there’s nothing to build connections between the courses that they take,” says Bob Bain. If any of this interests you, check out David Christian’s Big History Project and watch his TED talk The history of our world in 18 minutes. Christian’s view of teaching is what I call a mental models approach that weaves narratives from all disciplines. It’s not only more interesting, but a more accurate portrayal. Unfortunately, it is hard to introduce this into current curriculum. There are bureaucracies and “kingdoms” to protect and people set in their ways. The concept of “classes” and the compartmentalization of subjects (aka the mental model approach). Grade levels — why should kids born within a defined 365 day period be taught together? How could this be adjusted? Range of subjects — what else should be taught other than the typical math, science, language, history? Self-motivation policy — is homework useful? What should students do outside of class? How much should the school be involved in this? There are tools that aid this kind of learning, both in and out of class. Big History is one. I believe something like Atlastory, a project I started, is another. At the [MIT] Media Lab, the whole goal that I see is that I have to be creative and I’m free to be creative, and I’m not constrained to a subject category. I don’t need to be creative in chemistry, or I don’t need to be creative in physics, or I don’t need to be creative in policy. It’s not about a subject category, the criticism of: well that is not, from the subject, it’s not valid. What that creates is a group of people that have interaction between artists and technologies and designers and theoreticians and thinkers, and experimentalists, which all share a pursuit of freedom and of new ideas. I find that it’s a little bit paradoxical because this idea of pursuing creative freedom is the oldest idea in academic. The idea of an academic is someone that is doing something that nobody told him or her to do, someone that is running with his ideas and trying to make them happen. There might be people that think that those ideas are not worth even pursuing, they don’t make sense. It might be that those ideas are not going to have applications in the next 200 years. Who knows? But it’s an academic who will go away with his/her ideas, or take them where he or she wants. The last paragraph reminds me of some of the commentary that Charlie Munger has made. One thing that I’ve become very interested in the recent years is culture. Culture is something that has always been very slippery for science simply because, first of all, there are many definitions of culture. Anthropologists, economists, they all have different definitions of culture. Artists, they talk about culture, at least in the dictionary definition, as the maximum expression, sort of as the best thing. An anthropologist would talk about the whole range of expressions, and someone in the social sciences would talk about the norms that exist in a society, as their culture. I’m more thinking about culture in terms of the anthropological definition, of the range of expressions. Whether they are the most beautiful painting that you’ve ever seen, or whether it’s Michael Jordan doing a slam-dunk. I find all of this to be cultural expressions. I became curious about measuring culture, about which type of cultures come from which type of places. Which countries export which type of culture, and which countries import which type of culture. This is very important. You can think that it’s important in the sense that there are articles that have been arguing that culture is the number one export of the U.S. nowadays. If you add the movie industry plus the sport industry, plus video game industry, all of these cultural industries, they actually represent a relatively important part of the economy: the creative class. That’s one thing. Read the full conversation here. Costco of course is a business that became the best in the world in its category. And it did it with an extreme meritocracy, and an extreme ethical duty—self-imposed to take all its cost advantages as fast as it could accumulate them and pass them on to the customers. And of course they’ve created ferocious customer loyalty. It’s been a wonderful business to watch—and of course strange things happen when you do that and when you do that long enough. Costco has one store in Korea that will do over $400 million in sales this year. These are figures that can’t exist in retail, but of course they do. So that’s an example of somebody having the right managerial system, the right personnel solution, the right ethics, the right diligence, etcetera, etcetera. And that is quite rare. If once or twice in your lifetime you’re associated with such a business you’re a very lucky person. The more normal business is a business like, say, General Motors, which became the most successful business of its kind in the world and wiped out its common shareholders… what, last year? That is a very interesting story—and if I were teaching business school I would have Value-Line-type figures that took me through the entire history of General Motors and I would try to relate the changes in the graph and data to what happened in the business. To some extent, they faced a really difficult problem—heavily unionized business, combined with great success, and very tough competitors that came up from Asia and elsewhere in Europe. That is a real problem which of course… to prevent wealth from killing people—your success turning into a disadvantage—is a big problem in business. I really think the world… that’s the way it should be taught. Harvard Business School once taught it much that way—and they stopped. And I’d like to make a case study as to why they stopped. [Laughter] I think I can successfully guess. It’s that the course of history of business trampled on the territory of barons of other disciplines like the baron of marketing, the baron of finance, the baron of whatever. IBM is an interesting case. There’s just one after another that are just utterly fascinating. I don’t think they’re properly taught at all because nobody wants to do the full sweep.